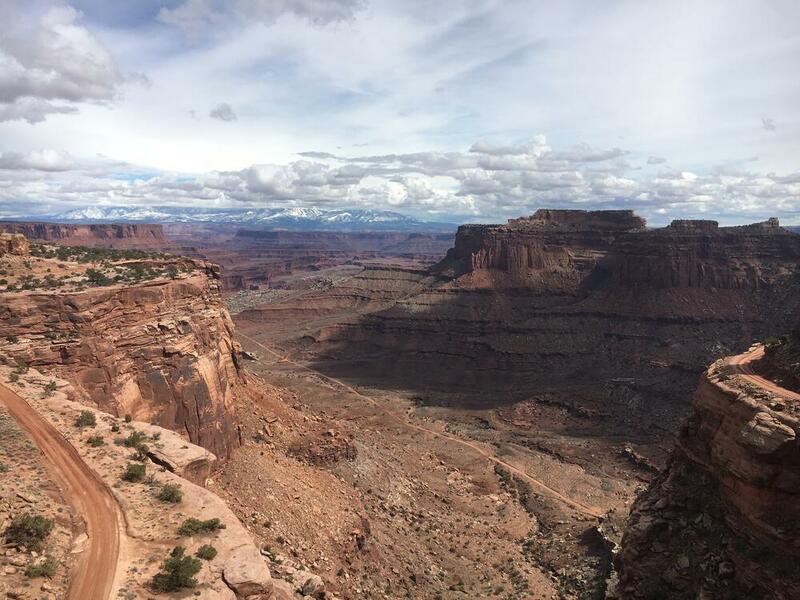 Warning: The following post, as opposed to having technical physiology, is mainly a recap of the race I completed in Moab, Utah. And the suffering that ensued. Enjoy! 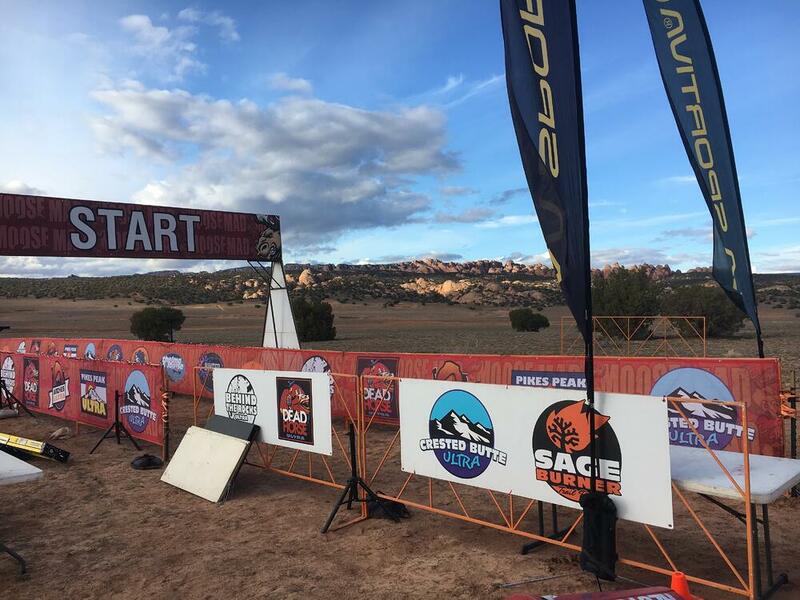 Recently, I completed the Behind the Rocks 30k. A beautifully, brutal course consisting of sandy fire roads, washed out slab rock, technical descents,1600ft of climbing, massive rock pillars, and deep canyons, that leave participants in awe, wonder, and a whole world of hurt. The long run was the longest distance I could complete in the time I had available. Going into the race the longest run I completed was 15 miles with 2000ft of elevation gain. Total training volumes were anywhere from 15-20 miles a week. The reason I am highlighting these workouts is to illustrate that going into this race I felt like I GREATLY underprepared and on race day I paid the price. Fast forward to race morning. I woke up feeling surprisingly good for sleeping in a tent the previous night, and during my warm-up I felt fresh. Note: During the race I wore both a heart rate monitor and a Moxy Monitor, not to dictate my race, but to gain insights into my physiology afterwards. In an attempt to race nice and relaxed, I started at the very back of the 250+ person pack, with the idea that I would re-evaluate every 10k and speed up or slow down depending on how I felt. The gun went off and I felt AMAZING. It might have been the competition adrenaline surge or the slight downhill for the first mile but either way, I felt good and looking down at my watch confirmed, I WAS FLYING. Clipping off close to 7:30 pace for the first 3 miles, I passed almost the entire field. The next 3 miles to the first aid station passed by quickly, I grabbed some food and immediately after is when the pain began. First, the trail took a sharp turn and went almost straight up, destroying my quads and putting my heart on over drive. Then came a steep downhill with a pond at the bottom that required some ninja-warrior esq, moves to avoid. For the next six miles the course continued to twist, turn, and undulate, effectively inducing walking in some of the steeper portions. By this time the field had thinned out quite a bit but I was doing battle with three or four motivated souls, not wanting to yield a single spot. That’s when it happened, I started to feel twinges of cramping in both hamstrings. This was bad, I had just over six miles left and nothing to stop the cramping. Luckily, the second aid station was just down the trail. I knew I needed something salty, or bitter to interrupt the potential cramping so I grabbed a handful of pickle slices and tucked them under my lip, only breaking open a shot of the pickle juice when cramps felt imminent. The pickle juice worked, for a while, but the cramping gradually started to worsen. Then on a slow downhill that turned to a major uphill, I was seized by race halting full cramping of my right leg ensued. I stopped, stretched it out, got passed by FIVE runners and gimped my way to the next aid station where I asked for a shot of mustard directly into my mouth. Now, I don’t ever recommend doing this but if you have to get rid of cramping mustard works miracles! The final aid station was two miles from the finish so the mustard had to work for approximately 20 minutes. It did, and through sheer grit I was able to re-claim five spots from the runners who had passed me earlier. Running in, stiff legged to not create anymore cramps, I finished the race in 2 hours and 32 minutes and wound up placing 17th. This race was a psychological gauntlet and one of the main reasons I continue to test myself through endurance races, I love to test the limits of my body. In the next post I will analyze my biometric data, including some speculation as to what lead to me cramping and how Moxy could potentially be used to indicate fatigue before something as bad as cramping occurs.